I wanted to draw a birthday card for my daughter-in-law. 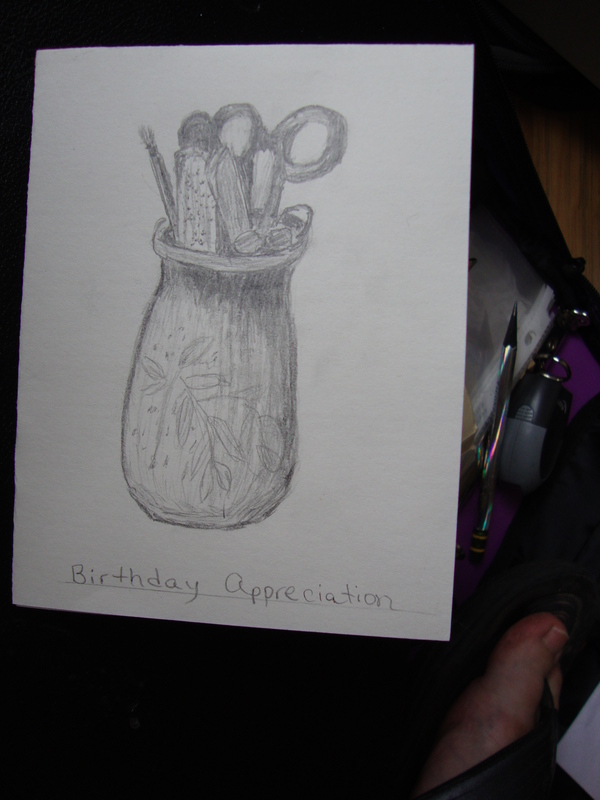 I had a drawing of her sewing vase which I liked. But it was in my sketch book. So I did a 2nd drawing and made it into at card. However, I like the first drawing the best. I found I can”t copy my own drawing very well. The photo on the right is a picture I took of the vase. The center pic is the first drawing I did of the vase. I drew it directly, looking at the vase. Then I took the photo to use for critiquing. I like the shading much better on the original than on the drawing that I did for the card.